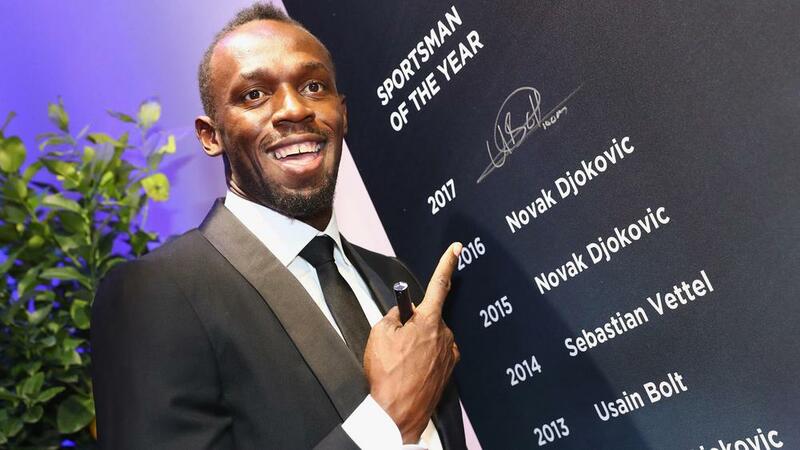 Sprint superstar Usain Bolt is thrilled to be in the company of tennis great Roger Federer as a four-time Laureus Sportsman of the Year. The Jamaican enjoyed a stellar Rio Olympics, winning another three gold medals as he lit up the track last year. He was honoured with a record-equalling fourth Sportsman of the Year award, joining 18-time grand-slam champion Federer. Novak Djokovic (three), Tiger Woods (two) and Michael Schumacher (two) are the only others to win the award multiple times. "The Laureus is always one of the biggest awards for me because they really go all out for us sports stars," Bolt said. "For me it's one of the biggest things. This is my fourth one and I'm in the company of the great Roger Federer which is brilliant. "I have my trophy room, I have a special spot that I've already wiped off and I have a nice little light to shine on it. So a nice spot for it."